Eurovudas Verona Log Cabin: The Eurovudas Verona Log Cabin is a classically styled cabin that offers lots of natural light into its spacious interior. The 44mm wall logs have a double interlocking tongue and groove which offers remarkable resistance against water and wind getting between the logs. The two front windows, one side window, and windowed double-doors are double glazed and have a double rubber gasket for additional protection. The cabin can be configured as a mirror image of the configuration shown in the picture, simply by altering the method of installation. 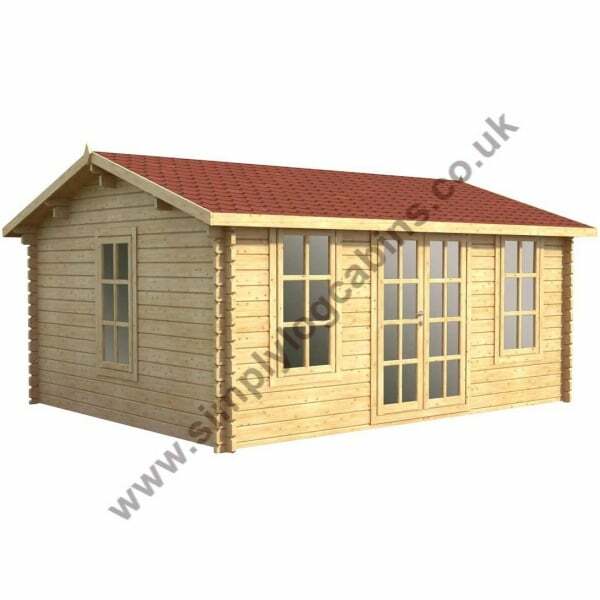 A great value and versatile log cabin building, the Verona offers a peaceful and comfortable space in your garden for a variety of uses.